With lots of little visitors on Easter, it’s important to go that extra mile to keep everyone safe. Here are some quick tips to ensure everyone has a great time and remains protected during the celebration. 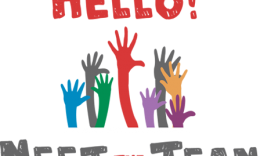 Check-In/Out Process: Having a well-defined process in place is vital to child safety and goes a long way in assuring first-time visiting families that keeping their children secure is a top priority. 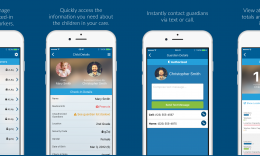 Whether you’re using a manual process or an electronic child check-in system, having accurate records of children checking-in and out, knowing who is authorized to pick up the children, and being aware of any allergy or medical issues is imperative to keeping the kids in your care safe. Allergies: Some children have severe and serious allergies to nuts, eggs, and other ingredients found in Easter goodies. Make sure to check with parents before offering anything that might cause a reaction. You might even consider going nut-free. Choking Hazards: To prevent choking incidents, never offer small candy or toys to children under five. They‘re simply to irresistible and can go straight into the mouth. Small toys should never be given without supervision or consent. Facility Safety: Before Easter walk through your church and consider how you can increase security in each area. If there’s time, invite your local fire marshal and police teams to tour your facility to offer recommendations on how to make your children’s ministry area safer, to prepare for the increase in traffic for special events, such as Easter. No running – encourage the children to walk and not run, so they don’t trample the little ones when they are going for goodies. It’s also best to separate children into age appropriate groups so as to prevent bumps and bruises. Indoor Safety – If your egg hunt needs to take place indoors, make sure eggs are not set near electrical outlets, or other dangerous spots. Designate certain indoor areas for egg hunts so children aren’t running all over the facility unsupervised. 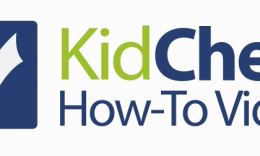 Click here to learn more about KidCheck secure children’s check-in, or for see additional safety tips & tricks visit the Best Practice section of our website.